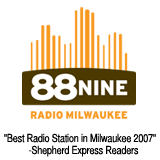 88NINE Presents: Fleet Foxes Live From The Pabst Theater on 88Nine! Sub Pop recording artists Fleet Foxes perform live at the Pabst on October 10th, 2008. 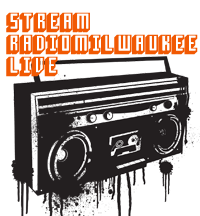 Hear the live broadcast on 88Nine RadioMilwaukee….and 20 minutes after the concert ends, 88Nine RadioMilwaukee will re-broadcast the entire performance. Here is this past week’s playlist for Rhythm Lab Radio. In case you missed it, you can stream again by clicking play on the embedded player above. We also aired a portion of the interview I did with N.E.R.D. Remember the fictional music group The Gorillaz which was founded by artist Jamie Hewlett (Tank Girl) and Damon Albarn (Blur). Well they have a new project called Monkey Journey To the West is a soundtrack to a Chinese Opera. Created by the team behind Gorillaz, Journey to the West is performed by both European and Chinese musicians and singers and produced by Damon Albarn. The album is a natural development of art and music based on the opera of the same name which Albarn and Hewlett Created with director Chen Shi-Zheng. The Gorillaz are rumored to return back to the studio for sixth studio album. I just came to a conclusion. Reports of Radio’s death has been greatly exaggerated. I read a lot that radio is dead especially music radio. Sites like Last.FM and Pandora will replace music radio and the DJ. Well I have to completly disagree with that, and its not because I am a DJ, but because of a new unknown, unsigned artist and the reaction I got from playing it on 88Nine RadioMilwaukee. Who is this artist? Her name is Valentina. She is originally from Italy, but currently resides across the pond in England. I first came across her almost two years ago by accident on Myspace. I was truly blown away by not only the production but her songwriting. I emailed her to see if I can get some of her tracks to play on the radio. She sent some tracks over and we added to our rotation in radio. When we started playing Valentina’s track “Guilt Trip”. I was really surprised by the reaction that the song got. Then I notice at her myspace page, that there were a lot of comments from people from Milwaukee. The comments not only moved me, but it gave me back my faith in the power of radio. Yes maybe commercial top 40 radio maybe dying, but good non-profit public radio is not only not dying it is gaining strength becuase people are looking for something different and new. Check out some of these comments and tell me that radio has lost it mojo. Another observation, technology will never replace a good DJ. A good DJ can find a song that can evoke an emotion. Music is nothing but the sonic representation of human emotion. Not to belittle what Pandora and last.fm does, but what better than a good DJ (who is human) to pick out music to appeal to people by emotion and not by some fancy algorithm. I became a DJ because of other good DJs expose my soul to beautiful music. These comments are from Valentina’s Myspace blog. Milwaukee’s Codebreaker’s new track “Fire” featuring Kathy Diamond got a glowing review in Pitchfork today. I want to congratulate the guys in Codebreaker for making an amazing song. Check it out for yourself! Diamond’s voice goes through the occasional spooky high-pitched effect or whirling overdub as she sings about, yes, a “fire”– “right down in your soul,” no less. She sounds as quietly commanding as ever, but the production is the real focus, with g-funk synths, plus funky guitar, rubbery bass, vocoder, and crisp drums that settle into the background except for the occasional Caribbean-sounding fill or castanets. All right, so there’s a little fire, and judging by the smoke machines it’s burning the world through. Last week’s winner of “Are You Feeling This” was Atlanta band The Constellations. You can check it out here. Check out this week’s “Are You Feeling This”. We have three new songs we want you to check out and let us know what you think. Also vote for your favorite one in our “Are You Feeling This” poll below. In case you missed the songs, you can listen to them below. This week we have songs from France’s Yelle, Leeds Kaiser Chierfs, and Tuscon’s Calexico. Chicago’s Kid Sister has been creating a buzz for a while now, but no album. Unil now. She will be releasing her debut album Dream Date on the Fool’s Gold label in November. You can check out the lead single “Family Reunion” featuring David Banner and produced by Diplo for free courtesy of RCRD LBL. I have to say the song puts me in a good mood. Perfect for does early autumn BBQs. How does it make you feel?